This has led us to ask ourselves, are single-player adventures no longer worth it? Do you seriously have no place today in the world of video games? Absolutely and of course it would be a mistake to think something like this after what we have seen in this 2017 for the authentic masterpieces that we have had the opportunity to enjoy and that are geared to be an experience for a single player. So we have drawn up a list of the 11 single player games that have impacted us most this year among which we find open worlds, action games, other platforms and even some other RPG that have shown that it is not needed in absolute to have some multiplayer mode or be connected to the Internet for an unforgettable experience. The saga ‘Resident Evil 7’ is a reference in this type of video games. Although it was true that the latter had a two player mode, they were still great titles for a single person and the latter, with the return to the origins of the saga, has become one of the great essential of this 2017. In addition, you just have to look at how well it has gone in sales to realize that users are also looking for titles like this, despite the fear that has made us spend in some moments, after selling more than four million units in all the world. Aloy’s journey into this postapocalyptic world reigned by advanced machines has shown us that Guerrilla Games were good at FPS, but in turn have been able to make us experience a simply awesome adventure with Horizon: Zero Dawn. In this great triple A we must discover the reasons why humanity has arrived at this situation through tens of hours of exciting fights and mysteries that we must unravel. So far ‘The Legend of Zelda: Breath of the Wild’ is postulated as the best video game of 2017 and with good reason. 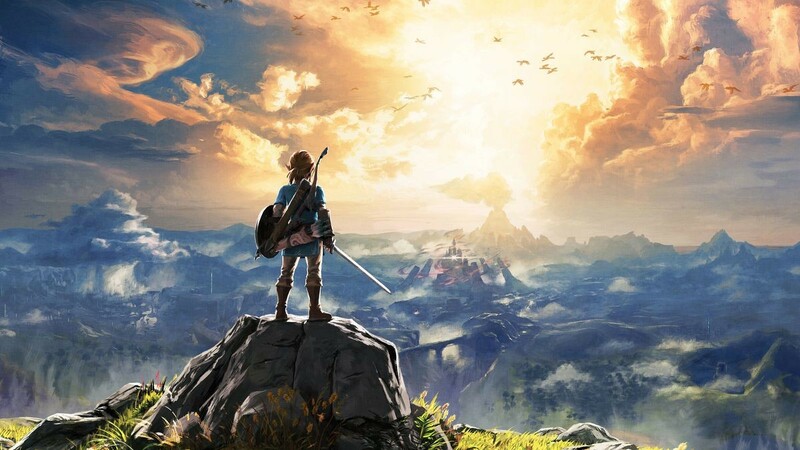 An ‘open world’ Zelda seemed unthinkable years ago, but the truth and truth is that the years that Nintendo has been developing it have borne fruit with an adventure that will take tens of hours to complete it and that will exceed the hundred if we try to complete all the main and secondary missions. PlatinumGames has always surprised us with action-packed titles that end up leaving a mark and ‘NieR: Automata’ has been no exception. If anyone is looking for an action RPG that is worth it, this will be by far one of the best options to take into account and also offers a great replay ability to find all the end of the game while we end up with the army of androids that has invaded the earth. Incidentally, between its version of Steam and PlayStation 4 exceeded two million units almost a month ago. In Japan ‘Persona’ is often synonymous with assured success, but this latest delivery has captivated users around the world alike. The press has considered Persona 5 as one of the best titles of the year and in sales it managed to surpass one million and a half during its first week. Between some things and others, the Atlus JRPG is another essential in which we will control a group of students by day and at night they will become heroes that will fight against all sorts of enemies and monsters that inhabit the Metaverse. Arkane Studios has marveled at ‘Dishonored: The Death of the Stranger’, but their game that has been the highlight of this 2017 has been ‘Prey’. The mythical video game released years ago has returned with a great science fiction FPS in which a dangerous alien threat inhabits the space station Talos 1 and we will travel at our whim and in which we end up taking some of the skills of this race, like that of becoming objects that we have in sight. In this list could not miss a gap for some video game developed in Spain, because each time are better titles we just see in the national panorama. Tequila Works is one of the companies that have surprised us the most and RiME has been a masterpiece that has shown that it does not take any kind of dialogue to offer us a very emotive adventure full of puzzles accompanied by an artistic section simply brilliant. The last time we talked about ‘Hellblade: Senua’s Sacrifice’ was for a video that published Ninja Theory in which he expounded some messages that had sent them to users of the whole world congratulating to them how well they had treated the mental illness of Senua and that they share people from all over the world. Needless to say, when a game reaches your soul, it fills you up and ends up impacting you in this way , it’s for something. Like Tequila Works is one of the best companies in Spain, MercurySteam is on par and has demonstrated that it is able to develop a multiplayer game that hooks with Raiders of the Broken Planet, but has developed one of the best remakes of this 2017 with ‘Metroid: Samus Returns’, the return of Samus that we had been waiting for years and that has done it by the big door. Of course you could not choose a better company to take over from Retro Studios. What can we say about the wonderful ‘Cuphead’ we have not already said? We will not tire of applauding the work done by StudioMDHR with this game that has transported us to the 1930s with a visual section identical to the drawings of that time and also presents a mechanic that engages with numerous battles against final bosses. Recently it exceeded the million units sold and we wish its creators that that amount does not stop to increase. The return of Sebastian Castellanos with ‘The Evil Within 2’, has not only been the best we’ve seen lately, but has also proved perfectly how to perform one of the best survival horror of this generation that will keep us constantly as we enter the nightmare of STEM, a place plagued by monsters and infernal beings that will complicate things to rescue Lily, the daughter of our protagonist. Do not think that the thing stays here far from it. The 11 video games mentioned are just a small part of the great experiences for a single player that we have enjoyed this 2017, but in a few days will arrive ‘Assassin’s Creed: Origins’, ‘Super Mario Odyssey’ and ‘Wolfenstein 2: The New Colossus’, followed a little further from ‘Xenoblade Chronicles 2’. So, we could put our hand on the fire without fear of burning if we ensure that 2017 has been and will be one of the best years for those who seek to live something alone, proving that there is no need to include multiplayer modes, connect to Internet, introduce boxes, micro payments and so many things to get a unique game.